You’ve got a job to do. And sometimes mother nature doesn’t always cooperate. Not only do you have to deal with the weather, but staying safe is always a priority. Picking the right gear for solar industry work is important for many reasons and here at GME Supply, we’ve got you covered. 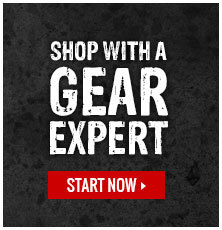 Our Gear Experts® are constantly searching the globe for the latest and safest PPE to provide you the gear you need to get the job done no matter the situation. From gloves to safety glasses to hi-vis and FR apparel we have the perfect PPE for you. Coated gloves have a wide range of uses and happen to be one of our most versatile categories. Depending on the liner and dip coating these gloves can be used for jobs ranging from industrial manufacturing to chemical resistance. Most gloves are available in a range of sizes. Your hands are your trade and protecting them is a priority. When looking at gloves one of the most important things to look at is how effective those gloves are at protecting your hands from sharp and abrasive material. That’s where cut-resistant gloves come in. The solar industry is no stranger to sharp edges and jagged metal - that’s why our Gear Experts® put together some of our favorite cut resistant gloves. We feature gloves ranging from ANSI A2 to A4 cut resistance and even have gloves that are compatible with your favorite touchscreen device. ANSI recently updated their cut resistance standards - we’ve got you covered there too. Be sure to check out this blog post [insert link here] about the ANSI/ISEA 105-16 standard on cut protection or visit our knowledge base for more information about the standard. Trade gloves are designed for the people who get the job done. With many specialized options to choose from, you’ll find the exact trade gloves you need for any application. Whether you need anti-vibration gloves, high impact gloves, climbing gloves, or fingerless gloves - we've got them all. Many of our trade gloves also offer additional benefits that not only keep you safe from harsh environments but also help reduce the effects of mother nature while you’re on the job. Our trade gloves come from a range of manufacturers and offer many features including water resistance, cut resistance, abrasion resistance, and weather resistance. In the cold of winter having a thermal insulated glove that also features the cut resistance you need to get the job done can be the difference between “another day in paradise” and “the worst day on the job yet”. So, we’ve got your hands protected but, what about your eyes? Don’t worry we have a huge selection of safety glasses available. Safety glasses haven’t always been known for looking cool – but staying safe has always been in style. Your eyes are important and should be protected from harm by protective eyewear at all times while you're working out in the field. We have a wide selection of safety glasses that are ANSI Z87 rated, which is the standard that requires the glasses to go through extensive testing. You can find out more information about the Z87 rating and the testing methods in this youtube video and in our knowledge base. Our safety glasses also come in a variety of lens tints, frame styles, and frame colors making it even easier for you to find the best pair to suit your specific needs. There are many low visibility situations when working in the solar industry. Not to mention, mother nature doesn’t make every day sunny. You need to be seen on the job-site to stay safe. Stand out from the crowd and stand out on the job-site with our wide selection of hi-viz apparel. Our high visibility workwear includes a range of sizes and colors. We have both class 2 and class 3 safety apparel to ensure you have the gear you need to get the job done. Class 2 items are intended for environments that pose a greater risk than those that require a Class 1 traditional safety yellow or orange material. A class 2 vest is medium sized because of the ANSI requirements. A class 2 article of clothing must have at least 775 inches of safety yellow or orange material and 201 square inches of reflective striping.